But whatever happens on the Brexit front there will be a set of polls in May: English local elections, something of a mystery to the Scottish voter. They come round every May somehow – just how many different sorts of council are there in England? – and the Westminster commentators talk them up without fail. One wonders sometimes if Jeremy Vine has a clause in his contract saying he must be allowed to get his swing-o-meter out once a year else he’ll take it away and not let anyone else play with it. The parties have been busy launching their local manifestos but the Westminster commentariat has no interest in the fate of Bedfordshire ring roads or the North Norfolk gull strategy, their interest stems from what the results tell us about the state of the parties nationally. Not a huge amount usually and absolutely nothing when it comes to the SNP – the third largest party in parliament remember. But one party for whom local elections matter more than most is the Lib Dems. During the coalition years the voters used each May to deliver a new humiliation to Nick Clegg. The party clung to the hope that since previously they did well in local elections and less well at national ones the reverse would hold true in 2015. They were wrong. However last year there were signs that normality had been restored with the party putting up a decent show at the English local elections. Another solid performance next month following a small comeback at the 2017 general election would total three years of improving fortunes. Momentum in anyone’s books. With Vince Cable announcing his imminent departure, whoever becomes the new leader this summer will, for the first time since the Clegger himself took over in 2007, inherit a party on the up. But it’s still a party with limited options in the leadership field. In a blatant clearing the decks exercise Layla Moran confessed at the weekend to slapping her partner and getting lifted by the police in Glasgow for doing so a few years back. Making her admission while literally every other Lib Dem was marching against Brexit in London hints at some old school political skills and an ability to spot a good day to bury bad news. On the other hand does any party want to be led by someone who escalates so rapidly from losing their phone charger to physical violence? Vince Cable got the gig as leader because he was seen as the highest-profile figure they had at the time. But he’s been rubbish. Despite the Lib Dems avowedly anti-Brexit message, he hasn’t managed to convert the sort of anger and energy on display at the weekend’s million-strong march into votes for his party. And so the party is looking for its third leader in three years and two other former coalition ministers come into the fray. Sir Ed Davey was in the coalition cabinet as energy secretary. His CV boasts an episode where he actually saved a woman from the path of an oncoming train. Coupled with the fact he’s an orphan he is the MP whose backstory most resembles that of Superman. Jo Swinson was a junior minister in the coalition, and is now Lib Dem deputy leader. You can tell she’s the frontrunner to replace Vince because she’s already subject to backbiting and malicious gossip. She’s young, female, feminist and she has the energy to run marathons in her spare time – everything Cable is not and everything the Lib Dems need. It’d be foolish to bet against her emerging on top when the leadership contest is conducted in the summer. But whoever wins they need a route map back to relevance and perhaps even power. And amongst the detritus of the Cable supremacy there is perhaps a single nugget. Conventional wisdom says it’s best the Lib Dems don’t talk about their time in government with the Tories, that everyone hates them for it: the left for facilitating a Conservative administration that enacted austerity; the right for constraining the same. Yet when he got to his feet at Prime Minister’s Questions recently, Cable referred to the fact that he and Theresa May used to sit alongside each other at the Cabinet table. Yet another Vince blunder? Maybe not. Survey the political landscape now and it is chaos. Leading Labour: the Magic Grandad who grows good marrows and has nice policies but who cannot competently govern his own party never mind the country. On the other side the Tories who have utterly unravelled since 2015. It is now clear that the Lib Dems were a brake on the Conservative’s nuttier tendencies while in government. In a Labour-Lib Dem coalition it would be the latter who would bring experience of government, know how to get things done in Whitehall. The Lib Dems can paint themselves as the grown ups in the room. 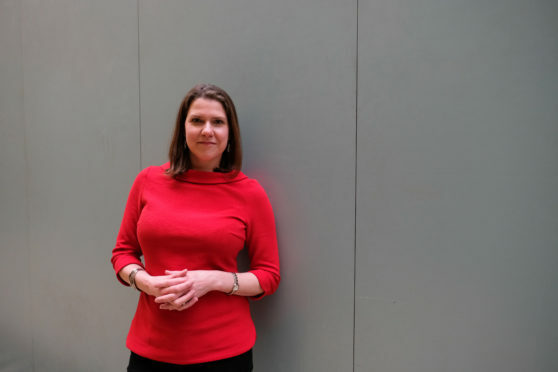 If there is to be a general election this year the party, particularly if they are led by Jo Swinson, can go into it looking like the electorate, genuinely giving the impression of energy and competence and with a simple message: let the grown ups back in. In an era when majority governments look increasingly tricky to sustain, the Lib Dems can own the space as the sensible people in parliament who can bring maturity to government. They may be languishing unloved at the back of the political cupboard just now but they could yet emerge as the vital ingredient that makes our politics palatable again.